The Law Offices of Joseph A. Lavigne is an aggressive, client satisfaction oriented law firm offering comprehensive legal services in a variety of specialties. We have extensive experience in the fields of criminal defense, drunk driving and traffic defense, business and insurance law and litigation, and estate planning and probate litigation. We have had the privilege to be of service to thousands of clients and to achieve outstanding, personalized results. We recognize that every case is of the utmost importance to our clients and dedicate ourselves to maintaining the highest level of trust and confidence by continuing to do our best in every situation. Although experience and talent are critical factors to every case, there is no substitute for hard work. We recognize that preparation and attention to details are the hallmarks of top-rate legal service and the key to winning even the most difficult cases. Our collaborative approach means that every client receives the benefit of more than 50 years of cumulative experience. We are accessible, responsive, and always honest and straightforward with our clients. We work with each client to set priorities, set realistic expectations, and to resolve cases in an efficient and cost-effective manner. We do not believe in “cookie cutter” solutions or “one size fits all” approaches. We believe that each case turns on its own facts, circumstances and idiosyncrasies, and strive to achieve personalized results and solutions that are often outside the box but well suited to each of our individual client’s interests. We recognize that clients benefit from having the reputation of a good lawyer on their side just as much as they can suffer in the eyes of the opposition and the court by having a poor one. We conduct ourselves according to the highest code of ethics while aggressively representing our clients’ best interests because we hold ourselves to the highest standards and also recognize that this is the only way to bring all resources available on our clients’ behalf. Without taking special care to adapt each case’s approach to the particular needs of the client even the most skillful attorney will not be able to most ably serve that client. Likewise, without sufficient determination, talent and experience to achieve those objectives, even the best of intentions may not be converted into successful results. Our firm marshals the unique experience, perspective and ability of our team to accomplish each of these objectives. Although we are headquartered in Farmington Hills, we practice in all courts in the state of Michigan. You are invited to browse this website to obtain further information about how we can be of service to you and to contact us to assist you with your legal matters. We have more than 50 years combined experience in successfully representing people in a variety of important situations, from the most serious of criminal accusations to complex business transactions and disputes, to dealing with emotionally charged estate and probate litigation issues. We pride ourselves on having preserved hundreds of careers, families, business and education opportunities and countless reputations. We have established our record of results on the front lines in court, in the boardroom, and in any situation in which our clients find themselves in need of effective advocacy. We represent clients at every stage of life, from the unemployed to the so-called movers and shakers, from the man on the line to professional athletes to teachers, doctors, lawyers, and executives in dozens of fields. We have appeared before judges at every level of the court system, interacted with hundreds of prosecutors and other attorneys. We have built our reputation for success on results and satisfied clients, not rumors or advertising slogans. We are highly rated by our clients and have received respect and recognition in our profession for our work on behalf of our clients. The legal community is surprisingly small. We are engaged participants in that community and are not new lawyers who are learning the ropes while trying to find a way not to screw up your case. We are skilled professionals who have worked hard to earn the respect of those in our field. Among the folks we have had the privilege to represent are friends and family members of judges, prosecutors, and other attorneys—those who have had a chance to see us work and to know the results of which we are capable of achieving. We regard it as the highest compliment and respect for our work when those who every day see the best and the worst of attorneys entrust us to represent those about whom they care the most. Just as clients suffer from having their stories disregarded because they are being told by the wrong attorney, we recognize that our reputation is on the line every day and that aggressively approaching cases with integrity is the key to our success and that of our clients. We recognize that our success is the bottom line, but that we must accommodate your financial bottom line as well. In that regard, while we understand that you are interested in selecting the best attorney to represent you, fees are a concern and should be important to you. While professionals may be expensive, if you hire an amateur you will really find out how costly that choice may be. We are not the most expensive attorneys, nor are we the cheapest. If you are simply price shopping and are not as concerned about winning then our firm is probably not for you. But if you are interested in high quality professional legal services commensurate with our years of experience and success, we will be happy to discuss a fee tailored to your individual circumstances and to the facts presented by your case. We work with each client at the beginning to understand your financial situation and to forecast as best we can what work will be involved in your case so you have predictability. If there are unknown factors that can affect your fees beyond original expectations, we do our best to help identify those and to address them together. We proudly admit we are different than most law firms. We don’t take every case that comes through the door and then try to figure out how to manage it afterwards. We are skilled and successful enough to be able to dedicate ourselves to the cases we are best at, and to only take the cases we have time for so that we can consistently deliver high quality legal services and client satisfaction. We each have specific areas of expertise where we are very good and we do not pretend to be experts in areas where we are not. We will turn down cases that are outside our skill sets even if you really want us to take the case and offer to pay us accordingly. Your success and ours are too important to do otherwise. In situations where we do not accept a case we are happy to refer you to competent counsel who can assist you. We are established enough in the community to know an outstanding attorney that we trust in virtually every practice area and to whom we can refer you if we are not the right lawyers for you. Simply put, we don’t “wing it” when it comes to our clients or the issues that matter to them. The many positive results and testimonials we have received say more than we ever could on our own about our approach. One of the ironies of what we do is that we often have a chance to help very good people dealing with very bad times. We often represent very successful people who just happen to be dealing with one of life’s curve balls or are facing the most stressful or out of character experience of their lives. Our clients are career oriented, they are younger people still in school but with professional aspirations and bright futures, and they are parents and grandparents who are doing their best to look out for their families. We live and work here too, doing many of the same things and trying to achieve many of the same goals in life that you are. We recognize that most of the time someone comes to see us it is not because they are having a great day, but because they have been accused of some kind of wrongdoing, or are the victim of wrongdoing, and it is very stressful and taxing in many areas of their life. We are experienced in dealing with the anxieties and uncertainty of your situation, in aggressively defending you and presenting your side of the story, and in meeting your needs, not just the issues presented by your case. Our job is to do everything we can to address the issue that brought you to us, to achieve the best result for your individual situation, and to get you back to your regularly scheduled life, doing what you do best. Of course we focus on achieving the best result possible in every situation. But we are also sensitive to the fact that even though a successful conclusion is the goal, the process of getting there can be very difficult. You are involved in a system that runs on a different timetable than you expect, and there are rules that apply that you may not be familiar with and that don’t always seem to make sense. What seems cut and dried to you may not seem so clear in the hands of a judge or jury. You may feel like the cards are stacked against you and the other side has prejudged your result before you have even had a chance to tell your story. From beginning to end, we work to address your concerns and temper your anxieties. We will tell you about all possible outcomes but will also do our best to predict the most likely outcome. We will be at your side every step of the way and will continue to analyze your situation and propose alternatives that might bring about your desired result in a way not originally anticipated. We will prepare you for court or whatever issues are to come. We will be your voice when you might not be able to find the words. We will be prepared to deal with whatever comes your way. We will aggressively advocate on your behalf but always remember that you are in charge of your own case. We will be respectful of your opinions and your time, and will do whatever we can to minimize the adverse impact of your case on your job, your family, and your future. Joe is an experienced trial lawyer skilled in complex criminal, business and commercial litigation and appellate practice. He employs his strong personal, professional and academic experience in the service of his clients every day. Having excelled in all phases of his career, Joe has established himself as a strong, effective advocate who gets results for those whom he represents. In addition to his exceptional qualifications, he consistently helps his clients see the big picture and provides honest, solid, accurate, and common sense advice that can be invaluable to clients who are often involved in difficult times. His criminal experience includes handling all phases of cases at every level of the court system from minor offenses and drunk driving, to major felonies including first degree murder. He has tried more than 80 cases to jury verdict. His non-jury trial experience includes bench trials, evidentiary hearings, and substantial motion practice, as well as representing individuals and entities in the pre-charging investigatory stages of proceedings. His business and commercial litigation experience include both transactional matters and lawsuits on behalf of high profile as well as individually owned companies and individuals in a variety of matters including complex commercial issues, shareholder disputes, unfair trade practices, breach of contract, defamation, breach of fiduciary duty, fraud and insurance cases. His other litigation experience includes handling both criminal and civil appeals, personal protection order matters, cases seeking injunctive relief, and a variety of other cases including arbitrations and facilitations before retired judges and other senior practitioners, as well as alternative dispute resolution. Prior to opening his own firm, Joe was an Assistant Prosecuting Attorney in Oakland County and a commercial litigation attorney for Maddin, Hauser, Wartell, Roth, Heller & Pesses, P.C. • Assistant Prosecuting Attorney; Oakland County, Michigan. While there, Joe served as a trial attorney in both the Circuit Court and District Court divisions, and gained experience in the investigation and charging process in the Warrants Division. He was also one of three founding members of the state’s first Internet Crimes Task Force. • Commercial Litigation Attorney; Maddin, Hauser, Wartell, Roth & Heller, P.C. 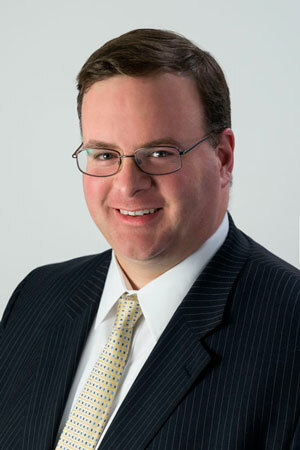 At the boutique law firm of Maddin Hauser, Joe worked on a broad variety of subject matters in all aspects of civil litigation, from preparing the lawsuit, to the discovery process, as well as motions, depositions, trial, post-judgment collection, appeals, and all other phases of the litigation process. • Partner and Founding Member; Lavigne & Sawicky, PLLC. Partner in general practice law firm specializing in criminal and civil litigation, juvenile and immigration law and appellate practice, representing clients throughout the state of Michigan as well as nationally. United States Attorney’s Office for the Eastern District of Michigan, Appellate Division. The Honorable Joe Knollenberg, Member of Congress. Michigan State University Department of Police and Public Safety. Certified by the Michigan State Police as a Class II DataMaster Operator–the same certification police officers need to give a suspected drunk driver an evidential breath test. Founding member of the Oakland County Internet Crimes Task Force–extensive knowledge of computer and internet-related crimes, as well as with high-tech evidence. Former Legal Instructor at the Oakland Police Academy–taught constitutional law, focusing on its application to the area of search and seizure, along with drunk driving related issues. Experienced litigator, with trial experience in Michigan’s District, Circuit, Probate and Federal Courts–has also handled thousands of other criminal and civil matters in adversarial hearings and proceedings short of trial. Master, American Inn of Court, Oakland County Bar Association (2014-present) (credential based selection; by invitation only). Also served as an Associate 2002-2006. Secretary, Board of Directors, Building Bridges of Hope, Inc.
Instructor, Michigan Supreme Court – Michigan Judicial Institute District Court Judges’ School; Lansing, Michigan. Guest Lecturer, Wayne State University Law School; Detroit, Michigan. Legal Instructor, Oakland Police Academy; Auburn Hills, Michigan. Lecturer, Continuing Legal Education Series; Oakland County Bar Association; Bloomfield Hills, Michigan. Violence in the Workplace, Theft, Embezzlement, and Employment Based Crimes; Employment Law Symposium; Novi, Michigan. Youth Law Conference, Oakland County Bar Association; Troy, Michigan. Circuit Court Skills Seminar, Oakland County Bar Association; Bloomfield Hills, Michigan. Concealing the Truth from the Jury: The Irreconcilable Differences of Voluntary Confessions and the Exclusionary Rule, Laches (Dec. 2000). A Misapplication of the Exclusionary Rule to Voluntary Confessions: The Fallacy that Knowingly and Intelligently Made Statements are Constitutional Prerequisites to Admissibility, 1999 L. Rev. Mich. St. Univ. Det. C.L. 677 (2000). The Ever-changing Evidentiary Law of OUIL Cases: Standards for the Admissibility of Blood Alcohol Test Results, Laches (Dec. 1999); reprinted in The Emmett-Charlevoix Bar Association Newsletter. Michigan Criminal Law: 1996-97 Survey, 44 Wayne L. Rev. 655 (1998). Comment, For Limited Times? Making Rich Kids Richer Via the Copyright Term Extension Act of 1996, 73 U. Det. Mercy L. Rev. 311 (1996). A Business Lawyer’s Guide to Empowerment Zones: What’s In It For You, 17 Mich. Bus. L.J. 3 (Mar. 1996); reprinted in 19 Gen. Practitioner 15 (May 1996). Case Digest, Doe v. Ewing, 16 Mich. Bus. L.J. 32 (Jan. 1995). 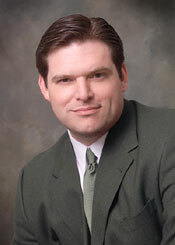 Jeffrey Buehner, PLLC is Of Counsel to the Law Offices of Joseph A. Lavigne. Although Jeff maintains his own practice, we coordinate on many matters and through our collaborative efforts are often able to assist codefendants or similarly situated parties who require separate counsel. This helps our firm with its overall teamwork-based approach in providing full service to multiple clients at once. Jeff has extensive experience as a former assistant prosecutor where he handled cases at all stages of the court process including district, circuit and juvenile court, as well as handling appeals. Since entering private practice, Jeff has been active in representing clients in criminal defense and civil litigation matters. He has a particular expertise in employment related legal issues. Prior to establishing his own practice and joining the Law Offices of Joseph A. Lavigne as Of Counsel, Jeff was an Assistant Prosecuting Attorney in Muskegon County and then Oakland County, and worked as an associate attorney for Blake, Kirchner, Symonds, Larson, Kennedy & Smith in Detroit. Our team members have been asked to lend their expertise in consultation for various media outlets. In addition, other cases have captured popular attention either because of the individuals involved or the particular facts of a given case. In those instances we have had numerous cases covered by a variety of members of the press. We have extensive experience in handling high profile matters in a discreet and effective manner. We recognize that no client wants to be the focus of public scrutiny, and we do our best to respect the rights of the press while vigorously protecting our clients. When necessary we can assist in managing attention a case may receive and delivering an appropriate response. Our firm and each of our attorneys strive to achieve the best possible results for our clients in all matters. We recognize that what might be a good result for one client might not fit the needs or desires of another, and we do our best to successfully resolve each case in the manner most appropriate for each individual client. Although it is impossible to list the multitude of successful results of our representation, the following are provided as examples of results we have achieved in certain cases. People v R.T. (Oakland County Circuit Court): following complaints of drug trafficking at a local mall client was caught with 20 individually wrapped baggies of marijuana in his pocket and charged with possession with intent to deliver. We tried the case and he was convicted by jury of only possession. At sentencing we successfully petitioned the court to take the charge under advisement and it ultimately was dismissed by court. People v S.B. (Oakland County Circuit Court): secured jury verdict of acquittal for client charged with assault with a dangerous weapon, despite positive identification by witness who saw him strike his ex-girlfriend with his car, breaking her leg, and then driving to his parents’ house where the car was found by police. People v D.B. (Oakland County Circuit Court): secured jury verdict of acquittal of first degree criminal sexual conduct, despite allegation that client entered through a bedroom window and raped the victim and was seen leaving the house by a friend of hers. In re G.N. (Oakland County Juvenile Court): secured agreement for dismissal of charges of armed robbery, malicious destruction of property and possession of marijuana. People v R.L. (Oakland County Circuit Court): victim was handcuffed to a chair and was stabbed multiple times and had his throat cut. Defendant’s DNA was found in more than a dozen locations at the scene of the killing. Jury returned a verdict of not guilty of premeditated murder (but guilty of a less serious offense). People v G.T. (Wayne County Circuit Court): despite client’s admissions to a police detective, litigated case and secured a plea reduction from multiple counts of felony criminal sexual conduct that would have required a lengthy prison sentence to a single misdemeanor count with ninety days in work release. People v A.P. (Macomb County Circuit Court): secured agreement that led to dismissal of negligent homicide charges against client. People v J.S. (Lapeer County Circuit Court, 71/A District Court): secured a judge’s order dismissing first degree criminal sexual conduct charges at preliminary exam following thorough cross-examination of witnesses. In re H.R. (Oakland County Juvenile Court): secured agreement that led to dismissal of first degree criminal sexual conduct charges against juvenile client. People v M.O. (Oakland County Circuit Court): secured pretrial dismissal of felony drug charges following successful Fourth Amendment challenge. People v C.M. (47th District Court): secured jury verdict of acquittal for client charged with retail fraud after she was found by loss prevention officer to have several hundred dollars worth of the store’s tagged and unpaid for merchandise in her bag as she was leaving the store. People v J.T. (51st District Court): secured a trial verdict of acquittal of charges of possession of marijuana and driving while license suspended, despite client being behind the wheel of her running car with marijuana in her purse. People v R.A. (52/3 District Court): secured jury verdict of acquittal for client charged with domestic violence. People v B.H. (50th District Court): secured jury verdict of acquittal for client charged with domestic violence—second offense. In addition to these results, we have successfully achieved hundreds of other acquittals and dismissals, as well as thousands of plea reductions and favorable sentence agreements short of trial. People v T.H. (52/3 District Court): citizen tip led to stop of alleged drunk driver; driver failed all sobriety tests and had a breath alcohol content of 0.24. Case was dismissed on our motion to suppress all evidence as a result of a Fourth Amendment violation. People v L.R. (Oakland County Circuit Court): citizen tips led police to pursue a suspected drunk driver who had her minor children in the car. Secured dismissal of felony drunk driving—third offense after demonstrating police officer gave false testimony related to the stop and arrest of defendant. People v C.B. (34th District Court): Client was charged with operating while intoxicated. After evidentiary challenges, secured plea reduction on the day of trial to a two-point civil infraction for failure to use due care and caution. People v F.D. (16th District Court): secured dismissal of drunk driving case where client was stopped for a traffic violation and blew 0.27 on the breath test. People v L.E. (34th District Court): Client with 9 points in the preceding 15 months was clocked doing 92 mph in a 55 mph zone. Obtained zero-point violation with a fine that was less than the original citation. People v L.L. (Multiple District Courts): Client with several prior infractions had traffic violations concurrently pending in three courts, two of which involved accidents. Successfully resolved all three cases without any points being assessed or any citations being reportable to her driving record. In addition to these results, we have successfully achieved thousands of plea reductions and favorable sentence agreements short of trial. S.A. v P.C. (Oakland County Circuit Court): In a complex commercial and real estate litigation matter, obtained judgment for our client of more than $5,000,000 against a former business partner. D.M. & J.M. v R.M. & D.M. (Oakland County Circuit Court): Obtained judgment of $500,000 for client who was sexually assaulted by a family member, and a separate confidential settlement amount against another family member for knowing of the abuse and failing to protect the victim. J.T. v F.B. (Oakland County Circuit Court): successfully defended claims in litigation alleging our client committed fraud and engaged in unfair trade practices. We secured a dismissal of all of the plaintiff’s claims and obtained a judgment against the plaintiff for our client’s attorney fees. M.W. v C.H. (Oakland County Circuit Court): secured dismissal of plaintiffs’ claims for fraud, breach of contract, and violations of the Michigan Consumer Protection Act, and received an award for sanctions against plaintiffs’ attorney for a portion of our clients’ attorney fees. P.D. v S.F.M.A.I.C. (Wayne County Circuit Court) Client was a passenger in a motor vehicle that rear-ended another car. Client’s injuries included herniated cervical discs requiring fusion and the insurance company refused to pay any of her claims. We obtained policy limits on her claim against the at-fault driver and successfully sued her insurance company for recovery of her costs for surgery, hospitalization, physical therapy, replacement services, mileage, and wage loss, as well as future medical benefits. T.A. v K.O. (Washtenaw County Circuit Court): successfully litigated enforcement of challenged agreement between parties resulting in a substantial resolution in our client’s favor. F.B. v. J.C. (U.S. District Court for the Eastern District of Michigan): secured significant six-figure judgment for client for breach of contract, fraud and civil conspiracy. [Confidential case caption] (U.S. District Court for the Eastern District of Michigan): successfully litigated breach of contract and indemnity claim resulting in defendants settling early in the case for the majority of a nearly $250,000 claim. N.W. v A.F.M.I.C. (47th District Court) Homeowners’ insurance claim for a water intrusion in their basement was denied. We sued the insurance company and went to trial, securing a verdict awarding clients recovery for their damages, plus all of their attorney fees. In addition to these results, we have successfully litigated a variety of cases and negotiated favorable settlements and resolutions to a multitude of issues short of trial. Michigan v. J.C. (U.S. Court of Appeals for the Sixth Circuit): successfully petitioned court to reinstate client’s appeal after prior lawyer missed deadlines, failed to file paperwork or pay court fees, resulting in dismissal of appeal nearly 18 months earlier. D.W. v I.C. (Michigan Court of Appeals): Successfully defended circuit court dismissal of breach of contract and breach of fiduciary duty claims that would have subjected real estate client to personal liability. A.Z. v F.B. (Michigan Court of Appeals): Successfully defended circuit court dismissal of claim against our client seeking more than $1,000,000 in damages for alleged breach of contract, fraud, and tortious interference with business. People v F.B. (Michigan Court of Appeals): Successfully defended district and circuit courts’ denial of prosecutor’s attempts to forfeit client’s vehicle that was used in a repeat offense drunk driving case. In addition to these results, we have successfully litigated a variety of cases on appeal and have also negotiated favorable settlements and resolutions to a multitude of issues short of a final appellate decision. We practice in all state and federal courts in the state of Michigan. Below is a list of some of them in which we appear more frequently. We gratefully accept many forms of payment for services. If you’d like to make an online payment, please use either Square Cash or PayPal. Joseph Lavigne is one of the most knowledgeable and honest attorneys I know. In addition, he is always willing to make time to answer questions or discuss issues with other attorneys. 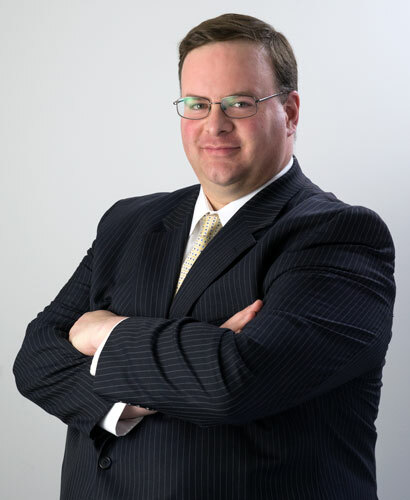 Joe is greatly respected by his peers for his legal knowledge, honesty and ethics.